Our plane just landed and I’m posting this from my phone while waiting for Perry who’s stuck in customs. Apparently they think his juggling balls are contraband. We’ll be home soon! 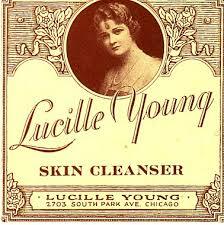 In the meanwhile listen to this blast from the past about skin cleansers and active ingredients. Click this link to read the original show notes. I hope you’re enjoying your holidays, but I’m glad to hear you’ll be back soon. I have a burning (or rather heat-free) question: do these “ultrasonic” heat-free styling irons that are supposed to help hair treatments be absorbed make any sense, scientifically? If so, what kind of products might work with them? It would be great to hear your thoughts when you’re back. Many thanks! Thanks Monica! I took at look at the links you provided but I’m suspicious this product works as promised. The ultrasonic vibrations can certainly turn water to vapor (just like in those cool ultrasonic humidifier) but I’m not aware of any scientific reason why it would micronize other materials like oils, proteins, etc. Before those ingredients can penetrate into hair they have to have not only the right size but also the right shape and the right charge. I’d love to be proven wrong because it would be very cool if this works but unless the company can provide some kind of scientific data to back up their claims, I have to say this is just marketing hype. By the way, this is a great question for our podcast! Would you be interested in recording an audio version of it on your smart phone? If yo are, just email to us at thebeautybrains@gmail.com. Thanks!